Surveys and their representation in the form of maps are an essential component of conservation and sustainable use plans. As such Wild Resources Limited has considerable experience of creating maps from minimal data and the organisation of data from a range of sources. 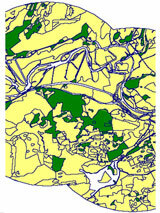 The use of GIS in biodiversity databases is an emerging area of work for Wild Resources Limited.